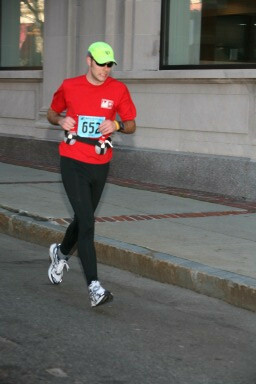 GOOD PHOTO: Gritting it out right at the 13 mile mark. Determination. Resolve. Etc. 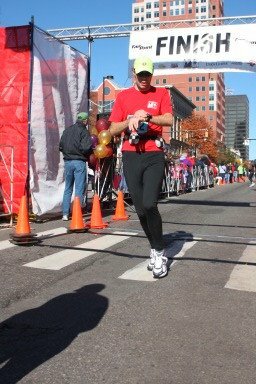 AWFUL PHOTO: At the most important and epic spot in the entire run, the shutter snaps, and you look down and stop your watch like a jerk. This exact period in time will never happen again and you ruin it by making sure your completely and totally inconsequential finishing time is accurately recorded.